The latest addition to German death metal/metalcore/deathcore band Heaven Shall Burn, being their 6th album since 1996, with only one member change, quite impressive feat from a band. 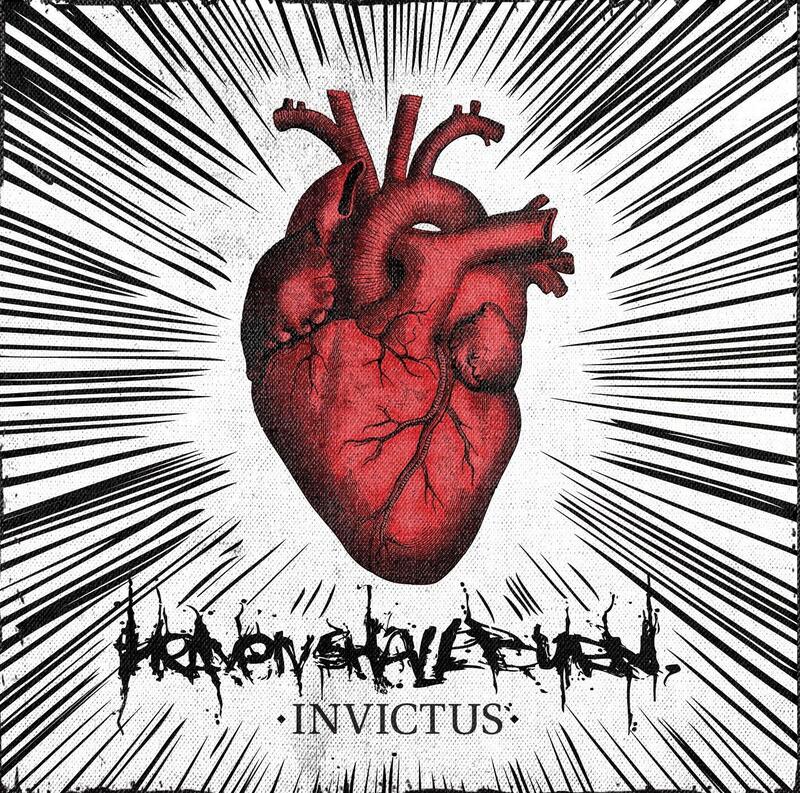 Invictus being released in 2010 and just past the 1 year anniversary of the album release. Vocals in the album seemed to have stayed the same, with the powerful rasped fry scream that the singer seems to have greatly taken to his advantage. 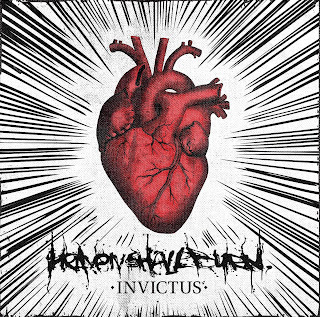 The guitars seem to have stayed the same as well, but still distinguishable from the previous album, but still similiar, the style might actually change a bit with their next release as Invictus is the last installment of the Iconoclast trilogy. The writing of the guitar part seems more melodic than technical in this album but is still quite well done, keeping the parts of the songs where it has that "crash" sort of feel when everything kind of goes boom and sounds incredibly heavy and great. Though this album seem to involve a bit of soloing which sounds quite nice in these songs. The drummer as usual is blasting away at the drums doing his usual constant double pedal action, which still sounds great and the recording of the drums in this album seems to be more emphasised in this album, while I would prefer the lead guitarist to get a bit more empahsis in the tracks. The lyrics still seem to be around the same theme as the previous album, with the militant support against racism and social injustice, or so what says for their wikipedia. What surprised me is the song "Given In Death", as it actually involves female clean vocals, and I thought, how great is this, brutal screams with such nice clean vocals, now that is some good stuff. The song is quite melodic and jumps between heavy guitar and clean guitar, working smoothly between each other, and quite impressive in my opinion, and also doing the sort of clean and scream duet that I have always loved, how it will transition between each other. The song also includes a guest guitarist from the same band as the female singer (Sabine Weniger and guitarist Sebastian Reichl). The album also has a bonus track called "Nowhere" which I think is a cover of a song as it sounds far to different to the usual songs of theirs, but sounds nice, but I am not sure what to make of it. Rating this album is quite difficult for me, as it is similar to their previous album, yet I am not sure to feel this is better or not, it is actually quite difficult, as my feelings towards the albums have changed a bit. But as how I see it, this album deserves the same score. Looks like the Germans can do metal right... although after Rammstein i'm not surprised. Oh Sweet Zombie Jesus. "Given in Death" is one of my new favourite songs now. I LOVE clean female vocals against that kind of music--it's why "Nymphetamine" by Cradle of Filth was one of my favourite songs for years. the second one made me a bit sad. I have to say that the amalgamation of screams and fem vocals is just right on this track! Love the blog, I'll be following. @Sub-Radar-Mike - Y'know, them Europeans tend to get Metal correctly no matter the genre. Perhaps it's the historical value (endless, bloody wars and fueds, duels, Vikings, etcetera) that tends to lend Metal music its' legitimacy? I dunno, me personally I don't care if it's euro, asian, or pure western - metal is the goods, y'knowwhatImean? Love the music videos, it's crazy how much money they put into those things these days..